When asked about how his career path led him to affordable housing and community development, Jonathan Bradford allowed that his early work history lacked focus: peddling an ice cream cart around Chicago, bricklayer's labourer, garbage truck driver, farm hand, semi-truck driver hauling everything from turkey products to steel to modular houses, bus driver and short order cook. He continued, "It sure is a good thing that God has this thing called providence, because how was I going to make sense out of this résumé?" He readily recognizes that all of those experiences provided him with a special appreciation for the challenges faced by the low income families served by Inner City Christian Federation (ICCF). 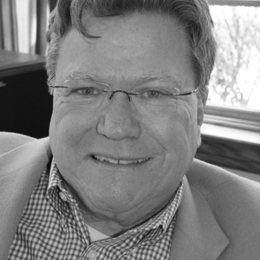 Bradford is grateful that his position has evolved many times in his 33 years with ICCF. With those changes has come much growth. ICCF now offers services all across West Michigan to more than 2200 households each year. Providing both actual housing units for rental and ownership as well as a variety of housing education opportunities, most days he is in and out of complicated development finance decisions, architectural or building code issues, public policy challenges and human resource matters. Says Bradford, "Not only is each of these central to our work, but weaving answers to these matters into sound resolutions that benefit the community is challenging to do with justice." Then, with relief, he concludes, "This is not a big issue . . . because each of these areas has been transformed by Christ. That's what makes this work so fulfilling!"